Lets make a offer for the weekend after a long time! Now we recommend to take advantage of this and get the Black Diamond brakes really cheaply in your shopping cart. The offer applies to all BD products, brake discs, pads, hoses and even brake fluid get -15% off. Black Diamond has a great track record both on the streets and competition on both tarmac and dirt, they can also be used to replace the OEM brakes. Black Diamond brake discs are available in three model, grooved, drilled or with both. The Brake pads have a great grip and low dust level, they can also handle a big amount of heat. With discs and pads we recommend a braided brake hose kit, which is a great final update. Braided hoses make braking more accurate when the balloon-like effects are reduced from the brake pedal. We recommend to use Black Diamonds brake fluid with brake parts so the brakes will run perfectly. Discount in Black Diamond is -15% at least, but we have also wide range of outlet BD parts with up to -40% off. Most common discs, pads, hoses and brake fluid can be found directly from our stock. We order more parts twice a week and even the most special discs arrive in less than a week. 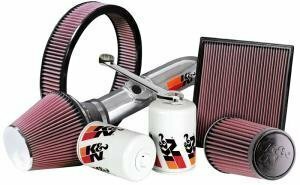 K&N air filters also with dimensions! Besides model specific panel and cone air filter its possible to look and buy the filters with dimensions. Some of the filters are directly in our stock. K&N filters with dimensions! There is wide range of cone, panel and even triangle filters which can be found with dimensions from K&N catalog. Usually the filter will fit many other cars as well where it is listed at the moment. From most sellest filter models like 3 and 4" cone filters we keep always in stock as they are also very practical in use. You can look up the filters directly from K&N page or for example email to us and we will check the availability as well. Lets put widebands in 10 € discount for the next week. Innovate, PLX and VEMS widebands can be found on our stock. Of these, there is a suitable widebands for a basic 4 cylinder or even a bigger V8. There are three major brands in the wideband range - PLX, VEMS, and Innovate, it (Innovate) also has excellent wideband for V-engines, which has been a favorite for American engines when two sensors have two values on the same screen. 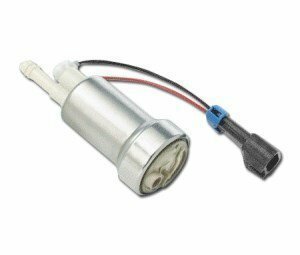 Innovates basic model MTX-L has also gained popularity over the last few years, even as much as it is now one of the most sold wideband - in the summer, we ordered nice amount MTX-L model in our stock. If there is wideband in the search for a turbo engine, and it would be nice to keep up to date with the exhaust temperature smartest choise is VEMS. In addition to wideband numbers, the display shows the exhaust temperatures as well which makes it especially efficient for turbo engines. The PLX wideband represents a slightly modern package with a touch screen and it also has been one of the best selling wideband a long time. All widebands are also a cheap insurance for the engine when you see it right away if something is wrong. Thermo Tec makes high quality heat shielding products almost for any purpose. Fitment is not limited for cars, for example the heat wrap can be used for motorcycle exhaust. Thermo Tec has a wide range of different type of heat shields available for many use. Heat wrap is easy to install for example in exhaust manifold, it keeps the heat in the right place and also the turbocharger works nicely. Heat shied tubes are very good for brakelines, oil tubes and for example for lambda sensor which is near to the engine. There is also "model specific" heat shields for exhaust, starter, turbo and silencer - they are not car or engine specific, but made for the exact use. We have a big stock of Thermo Tec products, especially 30x30cm heat sticker which can be used almost for any heat shielding. Now its a great chance to get electric water pumps with or without controller including -15% discount. Most common water pumps are in our stock. With Davies Craig eletric water pump you can get more trust in the cooling system, its possible to use it with the original pump or use only the electric pump. There is pumps available between 15-150l/min, smallest ones are with plastic body and biggest models with more durable aluminium body which will handle lots of power if needed, for example in race car. Its possible to buy water pumps separately or as a set which includes the controller. With controller its possible to adjust water flow and even a fan if needed, for example you can adjust the pump to stay on for a certain time after the engine has been switched off. Most common pumps like 115l, 130l and 150l are usually in stock and of course we order more when ever needed. 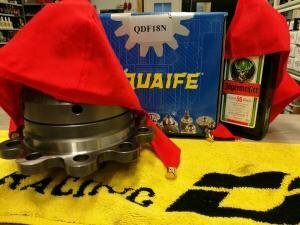 Quaife differential works in every conditions, it is also suitable especially for slippery weather. It does not lock the wheels, but instead transfers more power to the wheel that has more traction. Quaife is one of the best modifications for a car and especially for Finnish weathers. According to the customer feedback, the most common is the improved grip when comparing to the original diff. Quaife differentials are manufactured and designed in England where the knowledge is in high level and where all the differentials are tested before putting them to sale. Quaife works great even with big amount of snow and with the original traction control, also the yellow light does not flash so often when there is more grip. We have many differential in stock and we order more every week. Most common Quaifes are for German cars, but there is also a huge range for other car models. Besides differentials, Quaife has a gear kits for transmissions and also a whole transmissions with all parts, ask more from our sales. Instead of a one weekend offer, we will post five Black Friday offers that are valid for the whole weekend. Now it is an excellent opportunity to grab parts of the suspension, cooling, brakes and exhaust at much lower price - many of these products are in our stock. Here they are! You can find everything for engine cooling from Mishimoto! For example there is a wide range of radiators, coolers (also in model specific kits), fans, silicone hoses and even a wheel nuts, all with BF discount. Mishimoto radiators are much bigger than OEM so they are also a great compromise for any car - no more cooling problems! Cleaning power without power loss! Magnaflow performance catalytic converters cleans exhaust gasses without any flowing loss like in original catalysts. Ceramic catalyst is cheap and a good choice when replacing the old broken OEM catalyst for a lightly tuned car. Metallic catalyst is a good choice when you need more flow and a little more impact resistance. Little or little more lowering but no adjustment, with or without shocks? Eibach B12 Pro-kit / Sportline kits has a lowering usually between 30-60mm and thats it! Suspension kit is a great update for example to replace the old shocks/springs which also gives a nice little lowering which improves handling and comfort. For adjustable needs, we recommend the Eibach Pro-street S coilover kit which has a height adjustment. Eibach also has a wide range of other suspension parts like sway bars, spacers and bolts/nuts, check these our from link below. Black Diamond has a wide range of braking parts for the streets and also for race use - there is lots of options Brake discs are available in grooved, drilled or both - its your choice! Black Diamond has a low dust level, high friction and excellent heat resistance, if needed, pads are also suitable for race use. Turbosmart has all the turbo products you need, there is a wide range of dump valves, wastegates, bleeds and spare parts - all are in discount, even the little pieces! Most popular Turbosmart products at the moment are Turbosmart Boost-Tee bleeds which are great for boost pressure adjustment, we also keep these always in stock. Check the range and grab yours from the link below. Walbro fuel pumps are fully universal parts (we have listed these also by car model) and can be used almost for any engine which runs with petrol - we recommend these maintly for car use. If the engine does not get enough fuel it will run with lean mixture which is not so good for the engine and can cause many problem in bad luck. Most common like Walbro 255lph models including installation kits are always in our stock. Check the pumps from our website with more information or email/call us. Lets make an "diamond offer", ALL RVS treatments -15% only for this weekend. Now its a great opportunity to buy RVS treatments with big discount for example for a christmas present. RVS does not require much demonstration, it is a practically a working products that reduces friction and raises compression pressures (improves gear contact in transmission). Treatments are also high capasity, with one treatment its possible going up to 100,000km and for several years, depending on how many kilometers will come. The weekend's offer now offers you an excellent opportunity to buy treatments as a christmas gift with much better price. Approximately all the treatments are always available from our stock, but during the offer the shelves are quickly empty - although more products usually comes for a next working day, so they do not have to wait a long time. With normal petrol or E85 Magnaflow catalyzers are also suitable for diesel cars. We have many Magnaflow catalysts in stock in many sizes. Why to get Magnaflow catalyzers? Magnaflow catalyzer is usually much cheaper than OEM catalyst and has a great cleaning power. Emission tests are not a problem, Magnaflow will handle them easily and is a very good choice especially for car which has a little more power than original. Ceramic model is a cheap and good for lighty tuned car for example to replace the OEM catalyst. Metallic model is for cars which has little more power and which needs more durable catalyst (metallic can handle a small amount of collapses as well). Magnaflow catalysts are suitable also for diesel use in addition to petrol, of course newest diesel cars also needs the OE DPF as it can not be removed from the car (not legal) and it also ensures that the car will pass the emission tests, but if the problem is only in the catalyst, Magnaflow will do the job We have all the most popular Magnaflow models like 2.5 and 3 inch in stock. Lets put Kaaz differential in -10% discount in our weekly offer. Kaaz LSD differentials are excellent for race use, but also works as a compromiser in a street racing car. Kaaz makes high quality differentials for many race and street cars. There is a wide range differentials for most common Japan and German car like Nissan and Volkswagen. For example Kaaz has a differential for VW 02A and 02J transmissions. Kaaz differentials are available with three different ramp angle setups - 1, 1.5 and 2 way. Kaaz differentials are fully serviceable and you can get all mainentance parts from us like friction discs, springs and differential oils. Kaaz differentials are good choice especially for drifting, rally and time-attack, thats makes Kaaz manly a race differential, but of course it can be used also in street race car as a compromise which is not a daily driver. Delivery time in Kaaz is usually under a week, sometimes even faster. Kaaz differentials are always supplied with the Kaaz own oils, which guarantee the best possible operation in all driving conditions as well. We will offer Red Line 75w90/140 NS with differential purchase for a week. Quaife differentials with lifetime warranty. Excellent product for slippy roads, for example snow. More grip! Works with traction control, and works in street or racing purposes. Let's put the Davies Craig electric water pumps in -10% discount for the starting year in our weekly offer. Most popular and common water pump models are always in stock. With Davies Craig electric water pump you can get more trust in the cooling system, its possible to use it with the original water pump as a booster or use only the electric pump - its your choice! There is pumps available between 15-150l/min, smallest ones are with nylon body and biggest models with more durable aluminium body, which is actually a really great thing in bigger flowing rates. Its possible to buy only water pumps separately or as a set which includes the controller. With controller its you can adjust the water flow and even a fan if needed, for example you can adjust the pump to stay on for a certain time after the engine has been switched off. Most common pumps like 115l, 130l and 150l are usually in stock and we order more every time our stock starting to look empty. The super popular Magnaflow race catalyst are now in nice discount on our weekly offer. Most of the Magnaflow catalysts can be found directly from our stock. With the Magnaflow, numbers dropped to: CO% 0,00/0,01 HC ppm 19/24. We also have everything you need for the installation, for example exhaust flanges, V-band clamps, U-bolt clamps, exhaust gaskets and wide range of different heatshields like Thermo Tec products. Lets put the famous Eibach spring manufacturers spacers on discount in our weekend offer! Widening the track makes the car more stable and give much better look. Some of the spacers are in our stock. Its possible to look spacers by car model or with wheel specs, so basically if you know what car you are driving, then its easy to find the spacers as well. If the car is not known or it is not on the list for some reason, they can also be searched by bolt pattern, width or center bore and of course its possible to ask our sales for example by email. Spacers are priced as a pair and most of the thickest spacers comes with new bolts/nuts (depends which ones car uses). Of course it makes sense to buy new bolts/nuts for all new spacers, but for some models they are listed separately. You will find all bolts, nuts and studs from our webshop. Aluminium spacers are also much lighter than steel spacers, but they has the same durability anyway. Some of the spacer models are in our or in our suppliers stock and we always try to keep the delivery times fast as possible.